On Saturday January 28th, the third annual Celebration of Hockey took place at the Niles Iceland outdoor rink. It is the third year that Vipers Coach John Berthiaume and Stars Coach Nick Lavalle have joined forces on this event. The Stars and Vipers were fortunate enough to include the Hornets Sled Hockey Association as part of the day. The purpose of the event was to provide a great day of hockey, across multiple age levels, to celebrate this great game and teach our kids the importance of giving back. The day started off with the Glenview Generals 8U girls playing a scrimmage game with the Generals Mighty Mites. The next part of the day involved the Stars 10U Girls, the Sabres 10U Girls, and Wisconsin’s Fox River Freeze 10U Girls. The Stars and Sabres split their teams in half, playing a mixed scrimmage game, followed by the Sabres and Stars each facing off separately with the Fox River Freeze 10U girls. 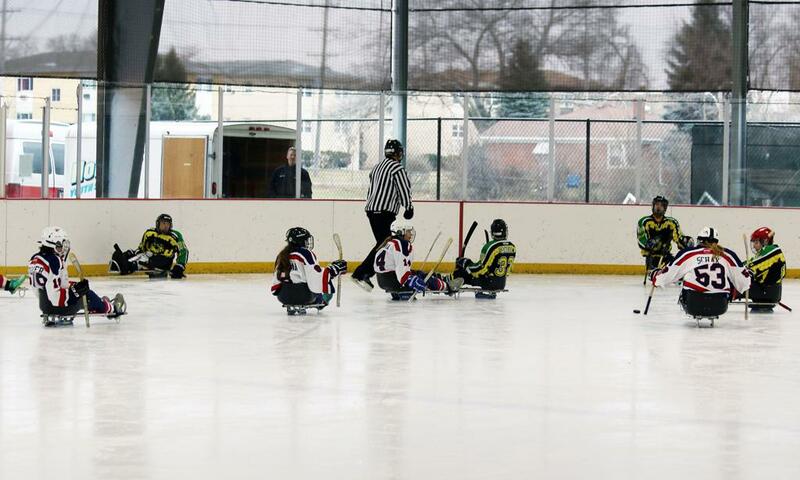 The sled hockey game came next. 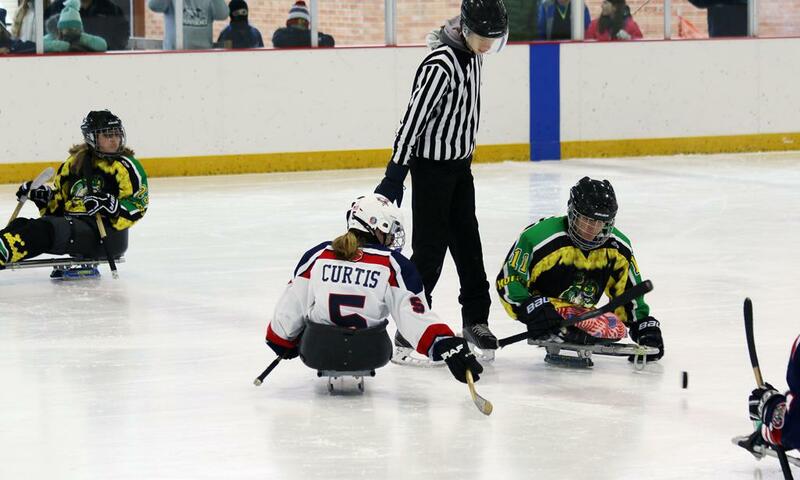 The Stars 14U combined girls faced off in a sled hockey game with the Hornets. Both teams had an absolute blast playing in this game, and the parents and fans were treated to something special. The interaction between the 14U girls and the Hornets players was priceless! The last two games of the night involved the Stars 12U girls and the Vipers Pee Wee Gold team playing in a mixed team scrimmage, followed by the Stars 14U girls and the Vipers Bantam Gold team playing in a mixed team scrimmage of their own. During the Sled Hockey game and the 12U and 14U mixed scrimmages, Stars volunteers set up a table to collect donations, coordinated a chuck-a-puck, and held a silent auction fueled by some very generous donations, with all proceeds going to the Hornets Sled Hockey Association. At night’s end, the 2017 Celebration of Hockey raised over $3,500 for the Hornets. We are very proud of this outcome and the experience that everyone participating was able to enjoy. Many people pitched in to help both prior to and during the day. Special thanks must go out to the Stars’ Girls coaching staff and the following individuals for their role in making the day a success: Larry Lempa, Tamie Connors, Paul Palian, Judy Gulliksen, Pam Hayes, Elyse Klein, Joe Rodgers, Keith Mellen, and Lauren Mellen. Extra special acknowledgment to Marty Stankowicz and his staff for giving us access to the first class facilities at Niles Iceland, Lisa Wyngarden for taking ownership and doing a great job of managing the auction, Tiffany Tuvell for her brilliant photography, Don Ridge for his guidance and work on apparel, Coach Eric Karacsonyi for being a major contributor in all of the day’s events, and John Berthiaume for his leadership and contributions.